Meet Lauren, Who What Wear fashion editor and co-founder of The Devils Wear Zara. Lauren is so obsessed with Zara that we started calling her the Zara Scout. Now she's turning the nickname into a franchise so she can regularly share her insider knowledge of the brand—including all her hacks, secrets, and must-haves—with you. You can count on Zara for a lot of things—low prices, last-minute pick-me-ups, and, weirdly, that perfect dress that, yes, maybe tons of other girls will have, but for $70 and a few cute Instagram pics, it will do the trick. 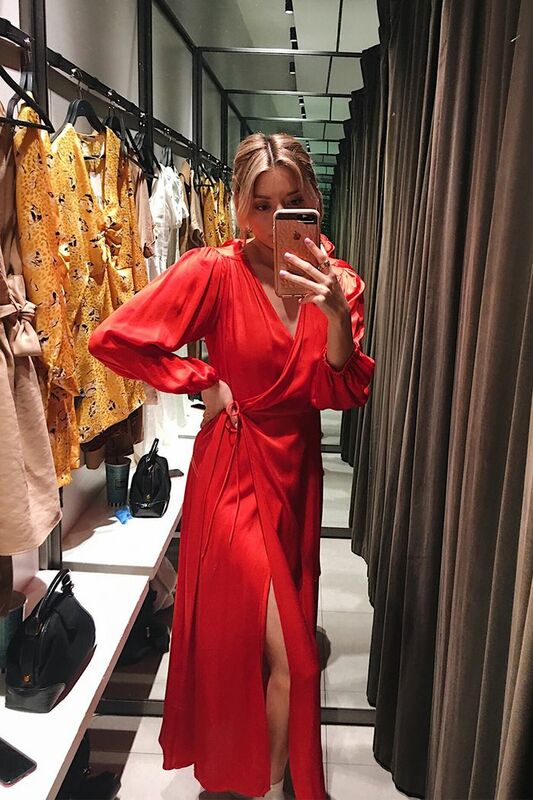 For our next dressing-room-diaries series in which my Devils Wear Zara co-founder, Mimi, and I head into Zara in both L.A. and NY to try on the newest product, we decided to focus on dresses—pretty ones. Normally, we only show you the pictures of the items we ended up buying (or at least adding to our immediate wish lists), but this time, we decided to be a little more candid. Ahead, you'll see a slew of dressing-room pictures featuring the pretty Zara dresses we loved, kind of loved, and even hated a little. Now, the dresses we chose to try on are all ones we think are cute; some of them just didn't look right on us, and that's okay. That's what dressing rooms are for, no? Either way, we're here to officially let you know that the dress section at Zara is on fire right now, whether you agree with our reviews below or not.